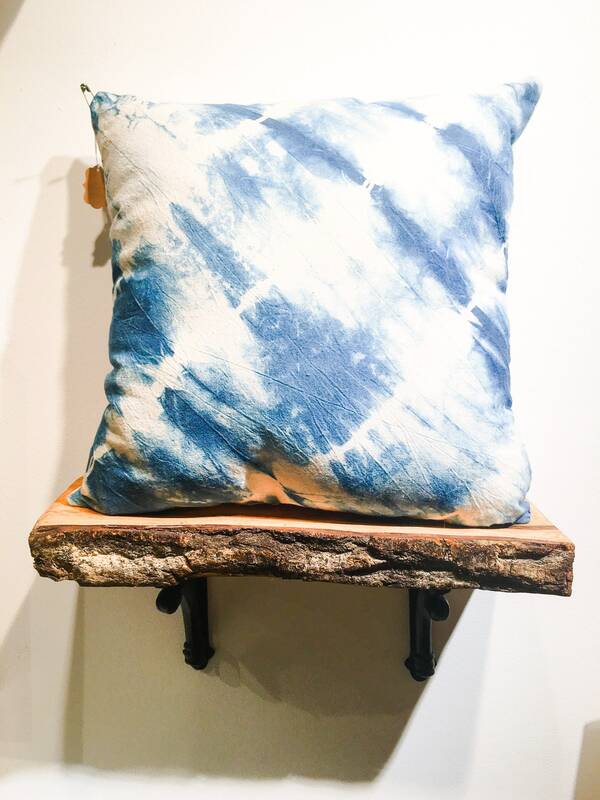 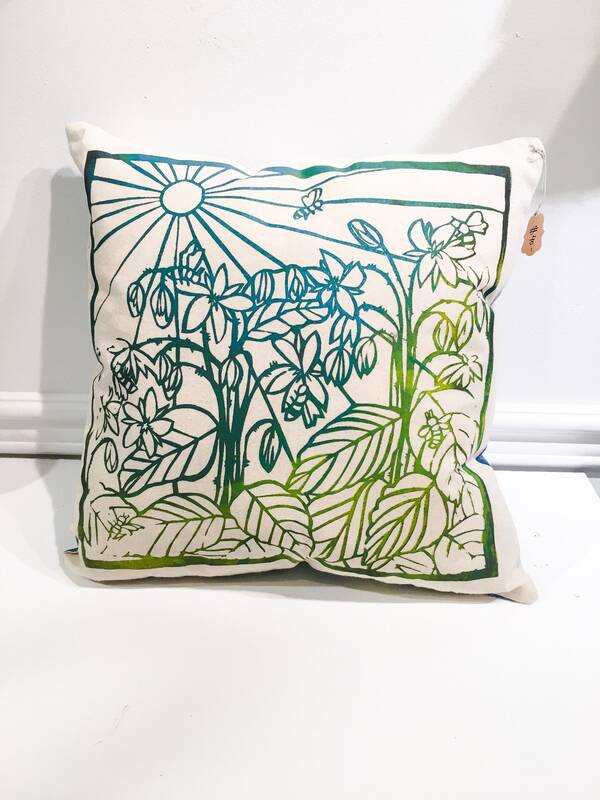 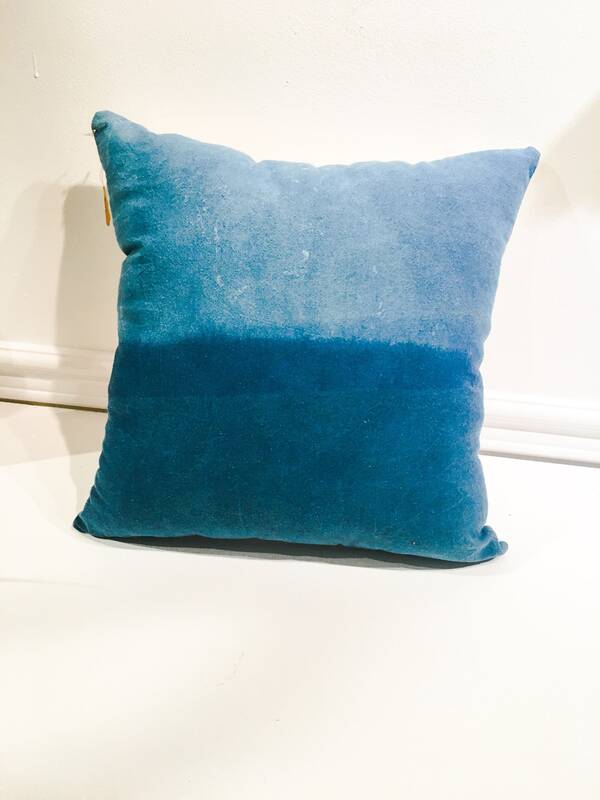 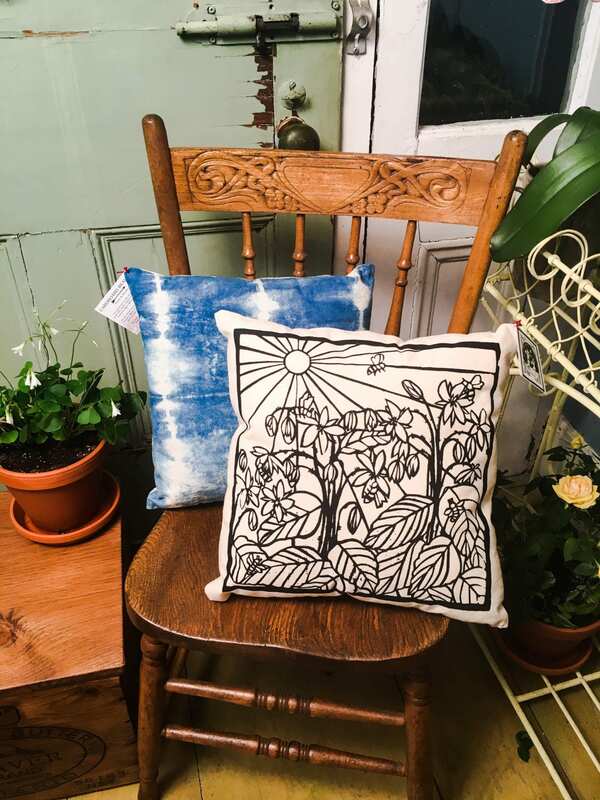 Beautiful hand screened, hand dyed and hand sewn "Bees & Borage" pillow. 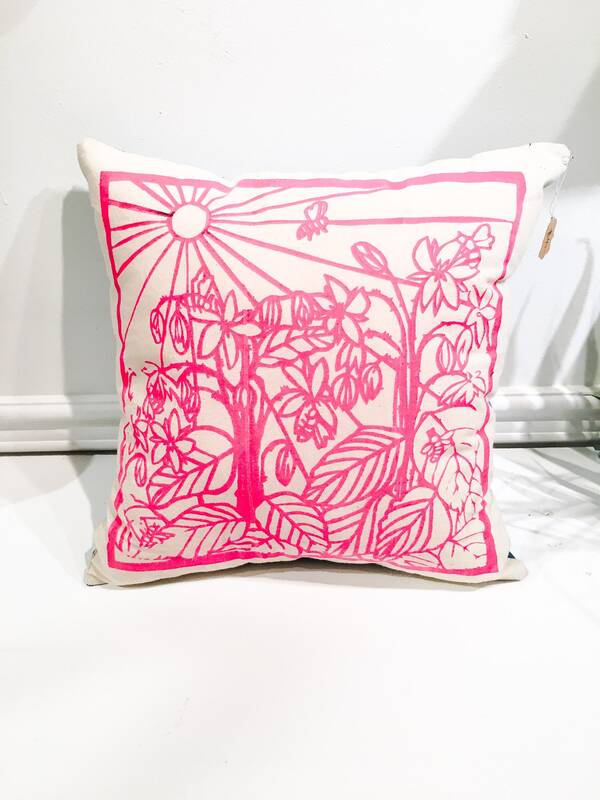 Perfect for a friend or treat yourself! 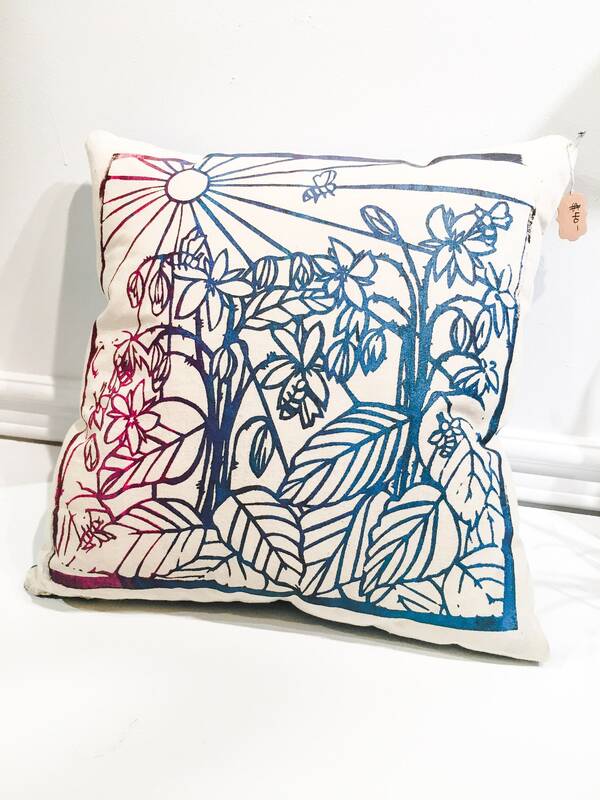 This open edition silkscreen with an original paper cut out design is a lovely gift for the gardener in your life. 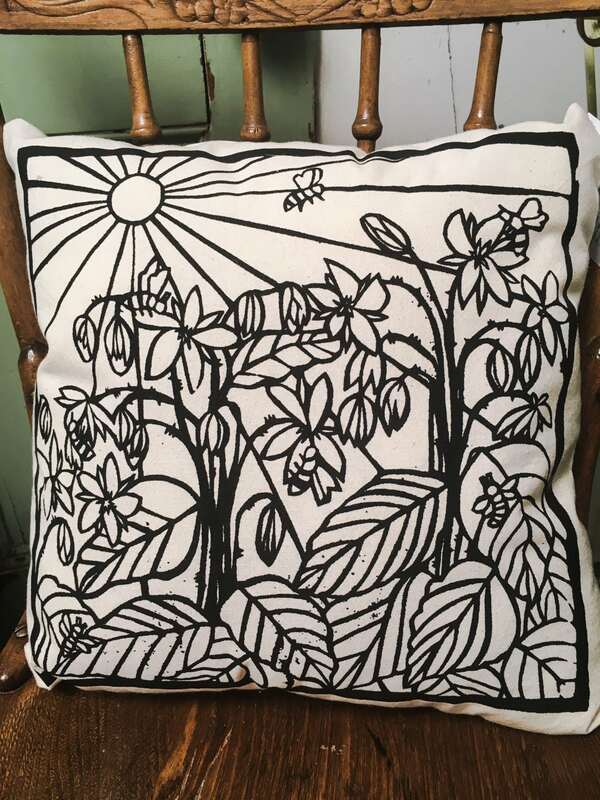 Stark black and white designs are available in an array of colours, and adorned with botanical details surrounded with bees. 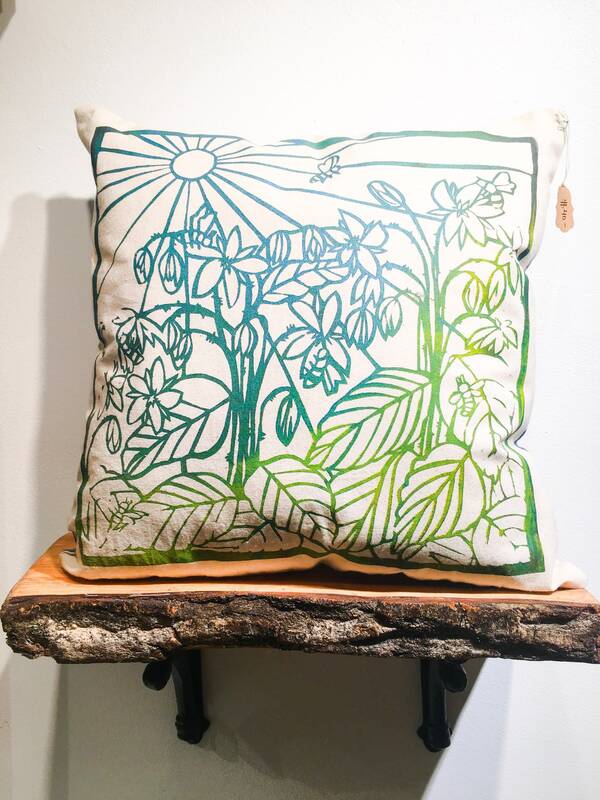 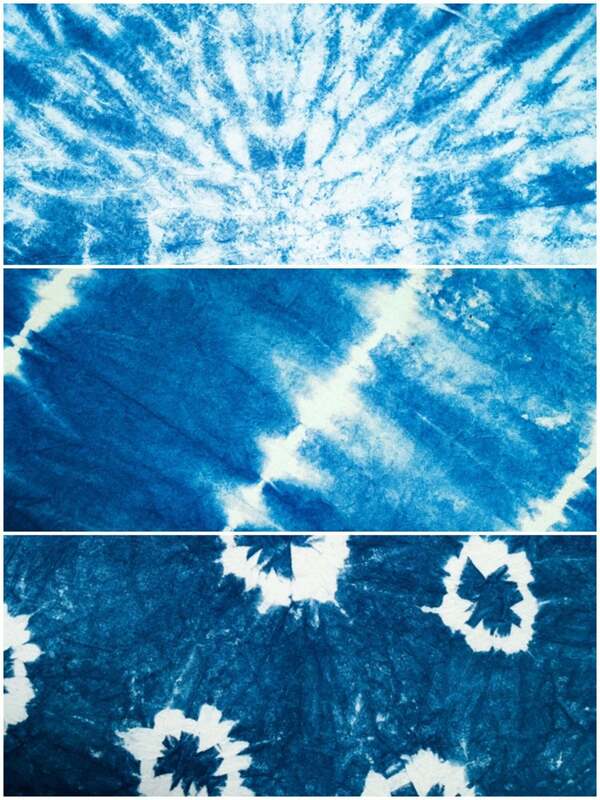 We use water based inks and botanical dyes to make you quality goods that will look sweet in your home. 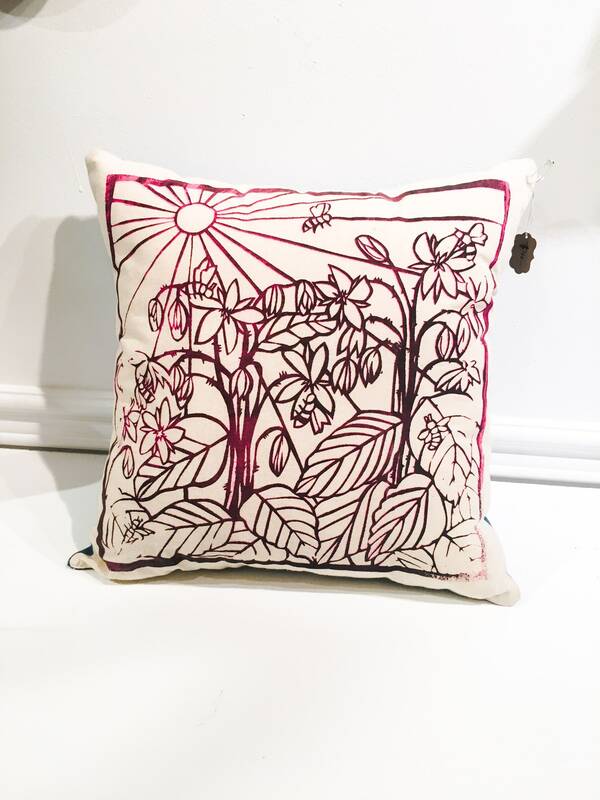 As each piece is hand made and unique please allow for some natural variance in the printing process and dye patterns from the item pictured.